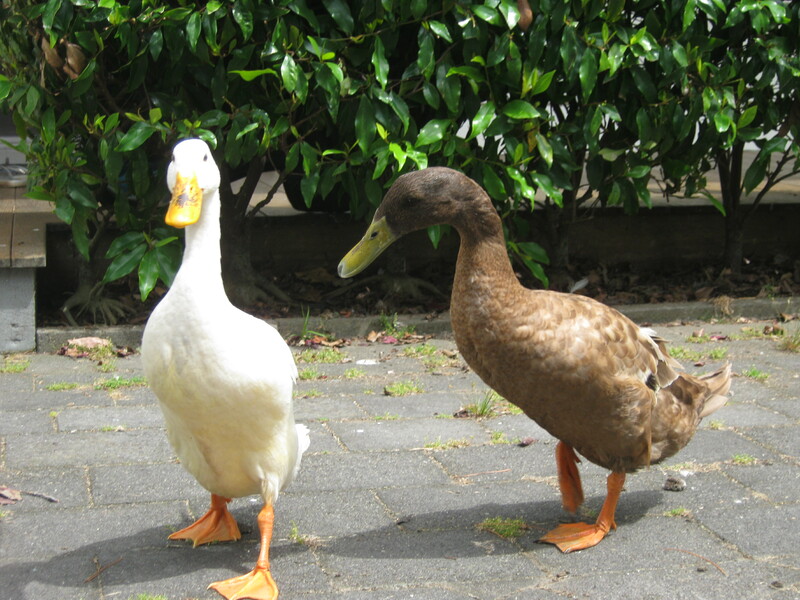 Due to moving (and the new owners not wanting them) i need to re-home my chooks, rooster, Indian runner ducks and 2 Muscovy ducks. If anyone could please give any of my birds a home then i would be very grateful. I appreciate that the ducks may ‘come home’ but i have to try!! 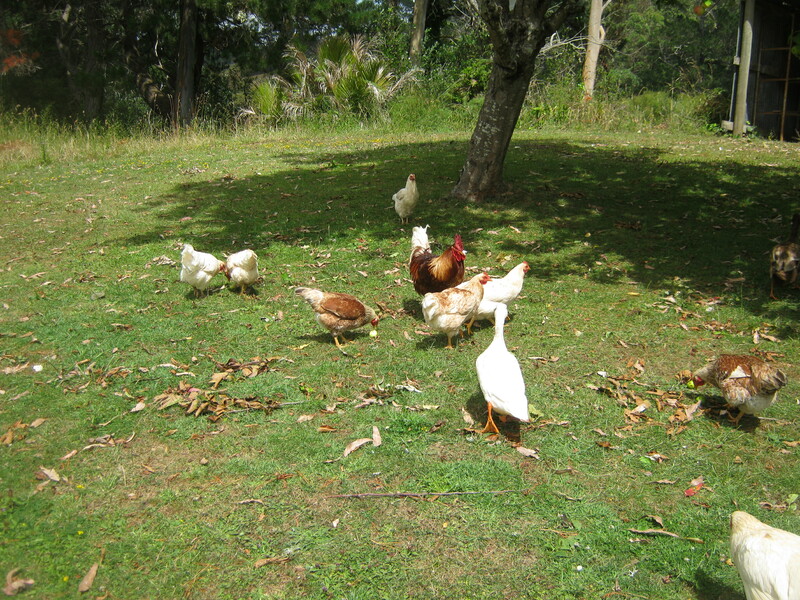 The chooks are a variety of ages and mix – we inherited some when we bought our house and they have since bred more. the rooster is 2 and 3rd generation of the original we inherited. He is not aggressive towards people, both my boys are able to pick him up. The Indian runners are very friendly, you are able to hand feed them, great personalities and don’t cause much trouble. The photo is only of 2 of them but there are 5, 1 brown, 3 white and one mixed. 2 boys and 3 girls. 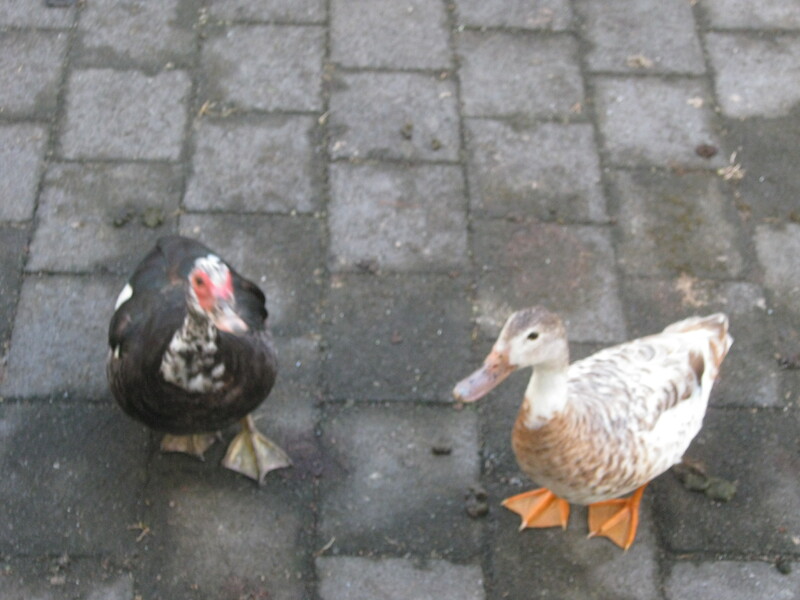 The 2 Muscovy ducks are mother and daughter (mother is black) again they are very friendly if a little reserved. My email address is l.clasper@yahoo.com.au and my phone number is 09 4225222. If you know of anyone that may be able to give them a home then please don’t hesitate to call me. Variety of breeds for sale around 60 to go – Must be gone by end of labour weekend. Infectious bug? – causing problems for chickens. being able to see the bird breathing. Both of these symptoms are a very bad sign, and of course the birds are off their food and looking fluffed up. Just letting those of you who love your chickens know, in case its an infectious thing going around. We had to get antibiotic to put into other birds water. Really is awful and birds do suffer, get on to it quickly if birds look unwell. 6 free chickens. I’m going overseas for a few months and need to re home my chickens. Not in lay at the moment. Need to be gone asap. Pick up from Lothlorien. Does anyone local have Brown Shaver Chickens for sale either laying or about to and vaccinated.